The voice and tone of narrative essays usually is “looser” or more “casual” than the typical academic essay. To do that, however, you often have to break the rules. Bend them gently and stay consistent. But if it sounds right, go for it! The best tip for striking a more familiar tone with your college application essay: Write like you talk! This stiff type of writing is used by people who want to sound smart and important; most popular among scholars (including English teachers! ), lawyers and other professionals who want to sound like they know their stuff even when they don’t. It’s a dead giveaway that you are trying to impress–something you don’t want to reveal in these essays, even if that’s one of your goals. When you write informally, you often need to break some of the rules of formal English. Here are some that are okay to break, but don’t overdo it! Throw in onomatopoeia. Remember those words that sound like what they are? Bang. Whack. Whoosh. Zip. Boom. Remember, these are only rules to break if they help create your voice, tone or make a point. Above all, writing casually does not mean you forget about grammar, spelling, punctuation, and all the way you make your writing clean and accurate. 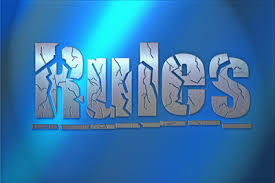 You can only bend rule when you know the rules and stick to the important ones. Also, after you write your rough draft, go back and read it again. Ask yourself: Would I really say that or am I trying to sound smart? If it sounds formal and pretentious at all, try to say it in a more direct and casual way. 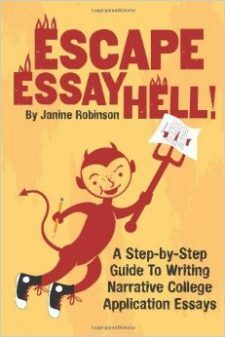 For help finding a unique topic and crafting a narrative essay, check out my short, handy new book, Escape Essay Hell! : A Step-By-Step Guide to Writing Standout College Application Essays. Jobs Can Make Excellent Topics for College Essays!